At Hampstead Veterinary Center, we understand the important role your pet plays in your family and are dedicated to becoming your partner in your pet’s health care. 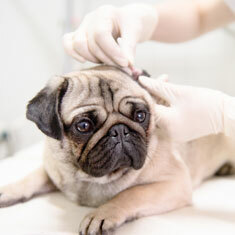 Our veterinarian in Hampstead, MD, treats your pet as we would our own. Our goal is to practice the highest quality medicine and surgery with compassion and an emphasis on client education. The entire healthcare team at our veterinary clinic is committed to providing personal attention to the unique concerns of every pet owner. 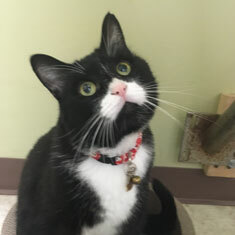 Hampstead Veterinary Center is a full-service companion animal hospital. 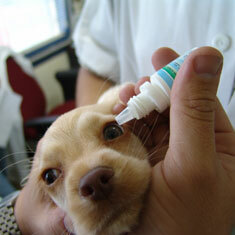 It is our commitment to provide quality veterinary care services throughout the life of your pet. Our services and facilities are designed to assist in routine preventive care for young, healthy pets; early detection and treatment of disease as your pet ages; and complete medical and surgical care as necessary during his or her lifetime. EXCELLENT, EXCELLENT, EXCELLENT!! I highly recommend Dr. Megan. She is AMAZING! She cares about your 4 legged family members and treats them as if they were her own. I would recommend this office ALWAYS!!! Great staff! Very helpful and knowledgeable. Thanks Mike! Please, let us know any time you need us! Wonderful experience. Dr. Megan and her staff were very kind and professional. Dr. Megan is a wonderful and knowledgeable Vet, we were looking for a place to bring our Dog, a Cocker Spaniel who is old and nervous around people and Dr. Megan made us feel welcome. Ginger was at ease too, first time at any vet.